After a year and a half of working together, unity is alive and well in Louisiana! When I became state coordinator in Louisiana in April 2012, one of the first things I did was to make a twenty-five year study of the congregations in Louisiana. I found out that we had decreased from sixty-three congregations to fifty-five. We had only planted two churches during that time, and only eight of our existing congregations were larger today than they were twenty-five years ago. While I was pastoring, I also had experienced two attempts to merge the existing assemblies, but both had failed. However, there was still a desire for most of the Church of God people in Louisiana to unite. Much of the state income was being spent on our two campgrounds, which were showing vast improvements. But our local congregations were not growing or winning the lost. The Lord gave me a plan to present to the people of Louisiana, which consisted of three major propositions. One, to unite the two assemblies into one, which was not only doctrinally correct, but also gave us a greater pool of servants to draw from for kingdom work; two, to take the two campgrounds out from under the assembly and let them become independent associations and affiliated agencies of the new assembly; and three, have the new united assembly focus on church growth and health, church planting and pastoral health. I then presented this plan to the leadership of both assemblies, and received approval to proceed. Eight town hall meetings were set up across the state, and I presented the plan and answered questions about the plan; these proved to be very helpful. In the fall of 2012, both assemblies voted to accept the plan and merge into one assembly. They also voted to form a bylaws committee by selecting six persons from each assembly to work with me in the writing of new bylaws and transitional plans for the new assembly. These people were great to work with, and we sought Holy Spirit leadership all the way through. In September, the two assemblies gave a unanimous vote to accept the bylaws and transition plan, and put it all in place on January 1, 2014! We praise the Lord for his leadership and for the Church of God people in Louisiana to accept his plan. The most exciting thing about the merger is that we are practicing what we have been preaching for years—the family of God is one, and there should be no division among us. We have a fresh outlook on state work that focuses on church growth and winning the lost, and the campgrounds will continue their ministry, as well. We loved each other even when we were divided, but failed to work together as we should have. This has seemed to be the trend for the Church of God movement, and may be one of the reasons we have struggled and are not as effective as we should be. Often we have become independent and self-serving in our churches. Often our “groups” fail to recognize that the church is not a collection of autonomous congregations, but a body that functions together for the glory of God. Our merger serves as a witness to the world, especially here in Louisiana. Jesus said in John 17:21 that the world would believe that he is the Christ when they see the oneness of the family of God! 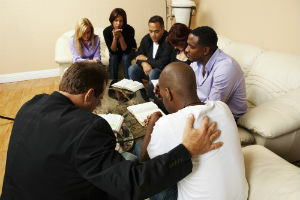 It is the desire of the Church of God in Louisiana to win the lost and show the unity of the family of God. Our plan promotes a “true merger on oneness” because it calls for all leadership to be selected upon Holy Spirit leadership and the interest and ability of the leader, rather than race or geographical location. We are convinced that this is what will work. God’s church must be directed by the Holy Spirit; nothing else will do. This entry was posted in All Church of God, Central and tagged Louisiana, merge, Steve Nelson, unity. Bookmark the permalink.